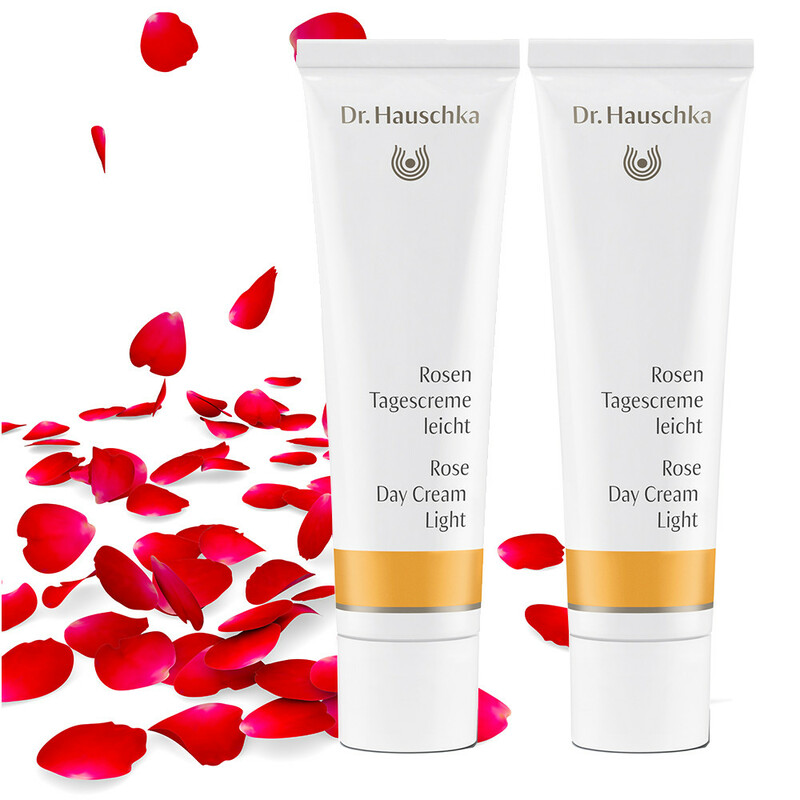 Rose Day Cream Light uses the natural strength and softness of the Rose Petal to hydrate and nourish your skin. This is a lighter version of Rose Day Cream. A beautifully nourishing, yet light, day cream to compliment and perfect any skincare regime. Cleansing morning and night with an organic cleanser - such as Soothing Cleansing Milk, by Dr Hauschka – will lift away any impurities and pollutants stuck to the skin during the day and purify your skin after a night’s sleep. Complete this routine with Rose Day Cream Light to protect and nourish your skin every day. As with the Rose Day Cream, this 'Light' alternative harnesses the revitalising strength of the Rose to fully moisturise and protect the skin. Combining extracts of Rose Water, Rose Wax and Rose Extract, this cream soothes and naturally balances your skin. The effective combination of Sesame, Avocado and Marshmallow mimic this natural balance, encouraging it to repair and restore itself, bringing back a totally natural glow and radiance. Application: Apply Rose Day Cream Light after cleansing and toning your face in the morning, apply a small amount evenly to face, neck and décolleté. This is a great primer before applying make-up. Tip: Rose Day Cream Light feels pleasant on your skin in the summer. Rose Day Cream provides extra protection against the cold during the winter. Matching Products: Cleansing Cream by Dr Hauschka gently exfoliates skin, leaving it noticeably softer and ready for your day cream.